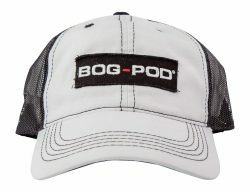 Stylish unisex hat from Bog-Pod® the industry leading manufacturer of shooting rests. I don’t have one but do it in camp and I will get it. I already have your tripod with the extreme rifle rest and its accounted for a lot of deer. Pat.